I was born in the year of the horse and in the zodiac pattern, the white horse or the fire horse. Every twelve years the horse returns, but every sixty years the horse is a real and true horse. I lived that behavior, galloping from the US to Japan and to Korea for fifteen years. I arrived in Nagoya, Japan in March, 1992 and left from Beijing in August 2008. When I first came to Japan I was 25, and had a bachelor’s degree and a teaching certificate. I couldn’t find a job in the U.S. The competition was crazy. When I applied for 3/5ths of a job teaching middle school history in my hometown, I was one of 250 applicants, including a PhD. A couple of my college buddies left to teach English in Asia in 1991, and that put the idea of moving to Asia in my head. I started in Nagoya. I was sent out to several Japanese businesses to teach English class. I had culture shock in spades. Everything was different. Culturally and socially, I found it impossible to find my own personal space and identity there. My attitude became, “If you don’t want to play with me, I won’t play with you.” I was bored stiff. My friends settled in Seoul. When I visited them, I was simply amazed by how spirited the people were. Opposite of the Japanese, I saw women walking arm in arm down the street, people laughing, people crying. If someone was upset, joyful or despondent, I could see it. I hung out with my friends and other teachers and life seemed more interesting in Seoul. Also, I like food that can kick me in the mouth, not subtle flavors or high style. I just fell in love with Korean food. Two months later a discussion with my supervisor turned into a staring contest. He started staring at me and I stared back. He blinked first and said, “We don’t have anything more to discuss.” I’d fired myself after only four months in Seoul. 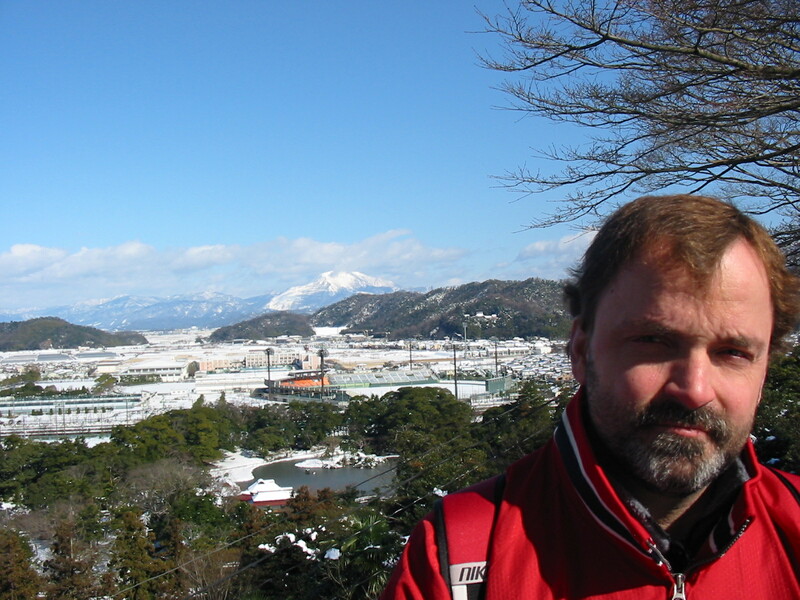 After I was fired, I went back to Nagoya, reconnected with the expat community, and started teaching at another language school. When that fell apart, I went back to the United States, but still couldn’t find a teaching position. I began to realize that my Korean workplace stank but that I’d really liked Korea. I went back. I was hired by Jay Lee, a gentleman who spent a lot of time in the United States. He really helped me out a couple of years later. To have a conversation in Korean or Japanese languages, you need to know the relative status of the participants. Finding out age, family and status is part of all interpersonal transaction. For a newly arrived foreigner, these negotiations are impossible. In Japan, most people wouldn’t try to talk with me. In Korea, many tried and we smiled a lot. Day after day I got into great conversations with some great Korean people. I learned a few basic things like how to read the 22 letters of the Korean alphabet so I knew where to jump on and off buses. All of this made integration into Korea a much better experience. Then a friend connected me with Catholic University of Korea, which is about halfway between Seoul and Incheon. That was a major step up: four months’ vacation, a solid salary and decent faculty housing. After my first semester, the administration brought in a lot of foreign language teachers, and we had an awful lot of fun. But soon I turned thirty. I thought that I needed to get back to the United States and get a career started “back home”. Instead, I fell in love with a Korean woman who wanted to study Japanese literature. I went back to the States and we missed each other terribly. We decided to live together in Osaka- she would study Japanese and I would teach English. She did exceptionally well. We married six months later at her alma mater, Catholic University. That’s when Jay Lee made it possible for my wife to get her a visa to the US by hiring me to teach in his new school. Hillary and I made a mistake by getting married in Korea. We filed the marriage papers at the embassy and then applied for the visa, when we should have applied for a visa to get married in the United States. The State Department and Immigration don’t coordinate processes and were not allowed to tell us how to work with the other side in order to get things done easily and efficiently. So, I’d quit my job in Japan, come to Korea and gotten married, and found out directly after the wedding that, because we were married, I had to go to the United States and apply for her visa there. That could take six months. Eventually, I discovered an alternative. If I was a working resident of Korea, she would get the visa we needed. I really didn’t understand why U.S. immigration wanted to make me work in Korea to get that visa. Financially, it didn’t make sense because he would lose money hiring me and getting me a visa. He’d met Hillary about six years earlier when she was studying in one of the schools he was running. He just wanted to do the right thing for us. I have nothing but respect for him. When we finally got to the US, she got a master’s in Japanese literature and I got a master’s in education. She wanted to do research in Japan to complete her thesis and I found a job near that university. We moved to Hirakata, half way between Osaka and Kyoto. By then, I’d finally taken Japanese 101 and 102. I had been in Japan long enough so that I could listen to bilingual Japanese and occasionally make an appropriate remark in English. They would stare and say, “Rick, how much do you know? How much do you understand?” I would reply, “Mmm, enough…” and show a wry smile. I was finally comfortable in Japan. I loved the job. Again, four months of vacation and exceptional housing. My base salary was about $35~40,000. The apartment provided by the university was worth another $15~20,000. I worked there for three years and two years later, I went back for a final year. Kansai Gaidai specializes in foreign languages, and it is rare to get to work with such gung-ho students. My job was preparing eighteen and nineteen-year-olds to study abroad for a year or two. The school had truly exceptional study abroad arrangements. It became my mission to work these kids as hard as all of us could tolerate. The two-years-abroad students do five semesters in Japan, four semesters in America and earned two bachelor’s degrees. The students knew how important our classes were and the options that could open up for them. They bought into my teaching style and worked incredibly hard. At the beginning of the course I’d tell them that by the end of the year, they’d be writing twelve-to-fifteen-page research papers in English with a bibliography and footnotes. They’d stare at me like I was totally insane but, at the end of the year, they’d written the research paper and done so much more. I got comfortable in Japan in much the same way I got comfortable in Korea. I became much mellower after I’d gotten into my thirties, married and settled down. I started studying the language so that I could understand where I was going and what I was doing, but I still functioned mainly as an outsider. Hillary’s language abilities were well past proficient for the really sticky parts of communicating and living in the US, Japan or Korea. So, if I was with her, everything worked out easily. I’ve been back in the States for almost five years and I miss being in East Asia. My last experience in Japan was incredibly positive. I absolutely love the city of Kyoto and once or twice a week I went there to stroll the Philosopher’s Path or visit Yasaka shrine or any of dozens of historic places. I still love Korea and miss my Grandmother and my Mother-in-law. At Kansai Gaidai, we had forty foreign teachers and I got along with some of them really well. The last time, when I was only there for a year, I shared an office with a man whose father died in January, 2007. My father died in June of the same year. Hillary and I filed for divorce that year as well. All of that didn’t make us friends, but it added more depth to our friendship. 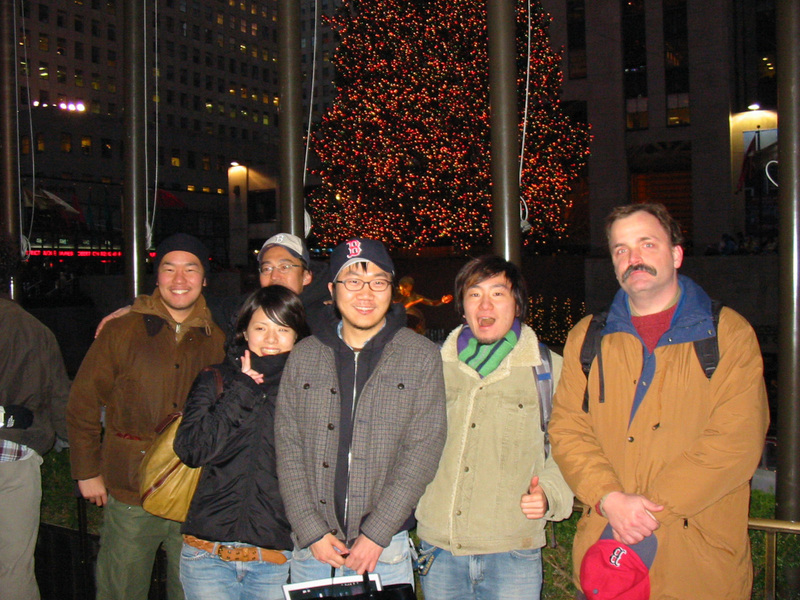 I spent more than a decade working in Korea and Japan. It remains a significant part of my life. If you include the time I was hung out with academics in America with a focus on East Asia, it adds up to sixteen years centered around Asia, coming, going and returning again and again. I arrived in Korea and saw the first civilian President elected a week later. I arrived during the Bubble Years and left an economically deflated Japan. So much changed—even me. My current wife, Sara, is a historian. Sara’s interested in going to Japan or Korea, and I would absolutely love to be her tour guide. When I lived in Nagoya, I went to Kyoto for the first time with a friend who’s an architect. Rich would grab my shoulder every twenty minutes and say, “No, no, no, no. You’re not seeing it the right way.” Having him explain the art and design of what he saw really opened my eyes. I value that insider knowledge, and I’d like to explain what I see through my eyes while she is a first-time viewer-participant. 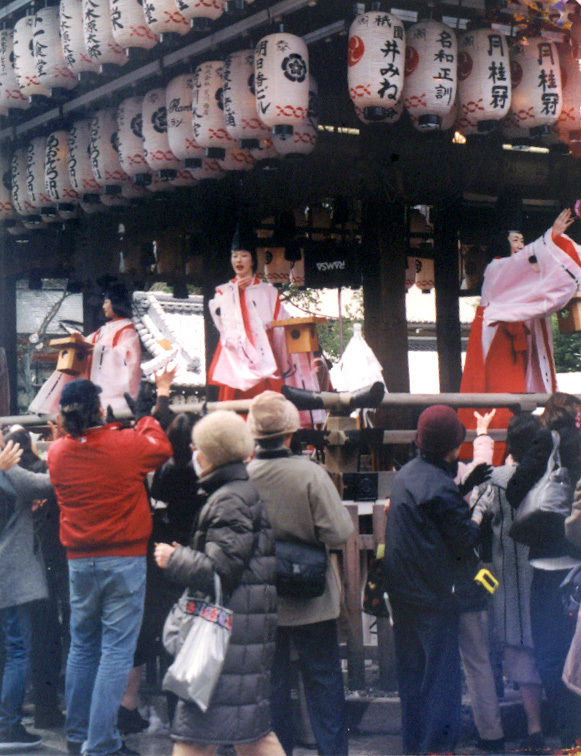 I took my high school students on a tour of Japan in 2007 and it was such a treat to have them describe what they were seeing and experiencing as newcomers in a strange land. Sara and I are foodies. I’d love to go with her to Sanchon (a restaurant in Seoul) to eat and see the floor show. Both are spectacular! It’s equally important to enjoy a cheap, tasty meal at a five-table restaurant with a linoleum floor. My last time in Korea was in 2008. I’d been away for about five years. I was amazed by the change, particularly the development of Chunggyechon, a river running through downtown. Twenty years ago, it was covered over with steel and asphalt, a nondescript street with many small shops and too much noise and pollution. I was amazed by urban renewal plans that are seen as economically viable and culturally valuable. Only ten years earlier I’d seen the economy collapse and my mother-in-law go bankrupt. At Namdaemun, store signage is often in three or four languages. A quarter of a four lane traffic circle was ripped up grass was put in. Now they have changing of the guard ceremonies in traditional costume at the gate. Seoul is a world-class city and I am glad that it is becoming more beautiful and accessible. I found returning to the U.S. pretty easy. I enjoy both who I am and who I was. In my thirties, I was equally comfortable in three nations. Today, I’ve put away the backpack and am a happy homeowner in Massachusetts.